Atlanta, April 20, 2016: YuppTV, the world’s largest Over-The-Top (OTT) provider for South Asian content, expands its offering with the launch of 18 Sri Lankan TV channels across a variety of genres such as general entertainment, news, music, spiritual etc. As a part of the association, prominent Sinhala, Tamil and English channels such as Siyatha TV, Derana TV, Dan TV, Channel C, Nethra TV and Prime TV will be made available on YuppTV platform, worldwide. Approximately 3 million Sri Lankan expats are estimated to be spread across the globe, with the majority concentrated around Europe, Middle East & Canada. Sri Lankan expats can now enjoy their favorite programs anytime, anywhere on multiple internet enabled devices. 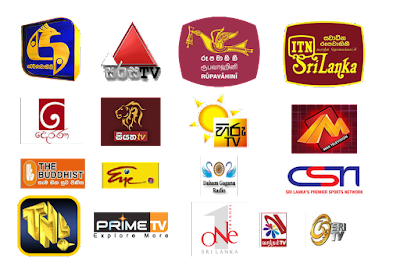 Two of Sri Lanka's most popular TV channels from Capital Maharaja Organization, Shakthi TV and Sirasa TV, were already available on YuppTV. With the partnership, YuppTV became the first OTT service provider in the world to provide Live TV access of such an exquisite bouquet of Sri Lankan channels, which will be made available to subscribers at a very affordable price. These new channels will be part of Sri Lankan TV packages and can be accessed through the YuppTV website, www.yupptv.com, or via its app on Smart TVs, Smart blu-ray players, streaming media players, gaming consoles, smartphones and tablets. YuppTV is one of the world’s largest internet-based TV and On-demand service provider for South Asian content, offering more than 200+ TV channels, 5000+ Movies, 100+ TV Shows in 12 languages. YuppTV has its presence in more than 50 countries. It has recently launched YuppFlix, a movie on demand streaming service for Expat Market. YuppTV is currently ranked #1 Internet Pay TV platform for South Asian expats. YuppTV is the most downloaded Indian SmartTV app and boasts 8 million mobile downloads.